Dirhodium(II) stabilized donor/acceptor carbenes display an extensive reactivity profile. A major aspect of our research is to develop these novel transformations and explore their scope and limitations. 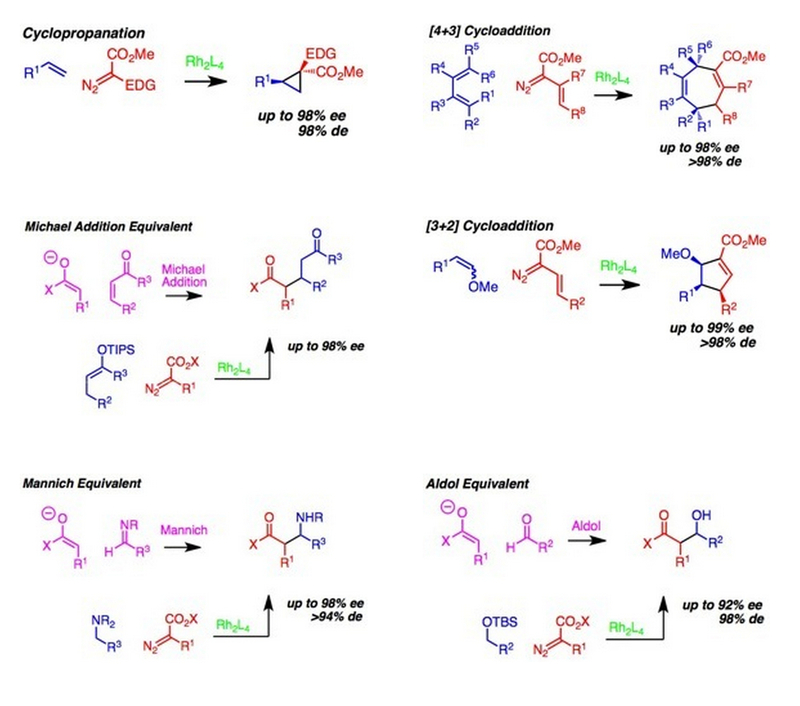 In particular, asymmetric catalysis has provided an efficient means for the preparation of a wide range of essentially enantiopure compounds.